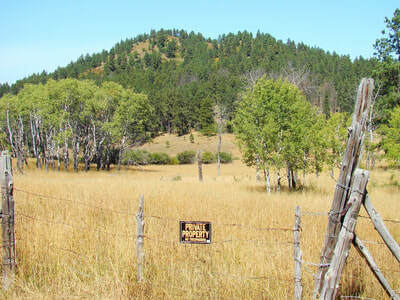 There are two “Old Baldy” mountains in the Black Hills. 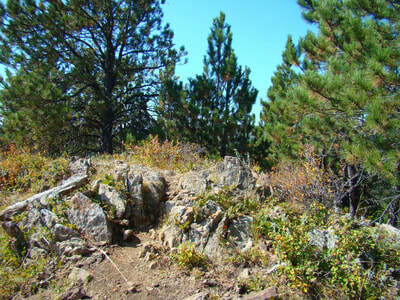 This one is the gentler, but higher in elevation summit (6,096 feet). 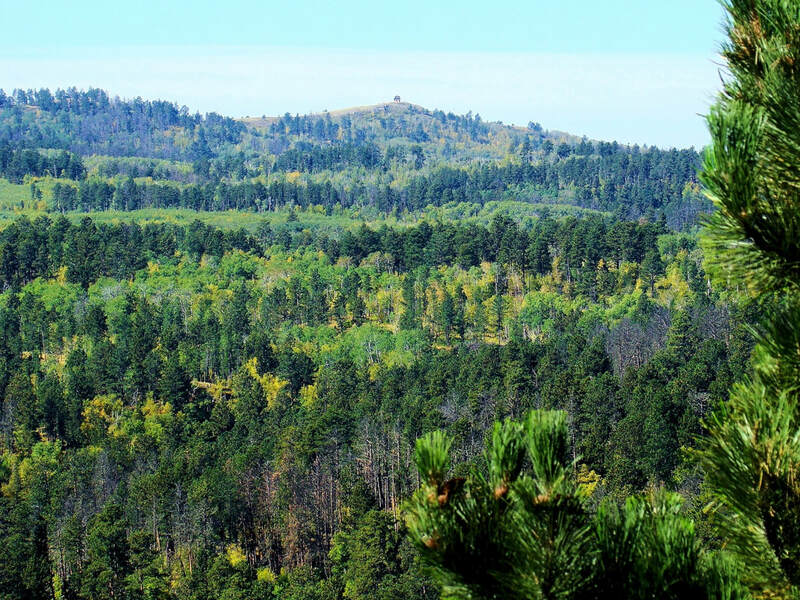 Located west of Spearfish Canyon several miles, this peak requires no rock climbing, like it’s namesake that is located behind Mount Rushmore. 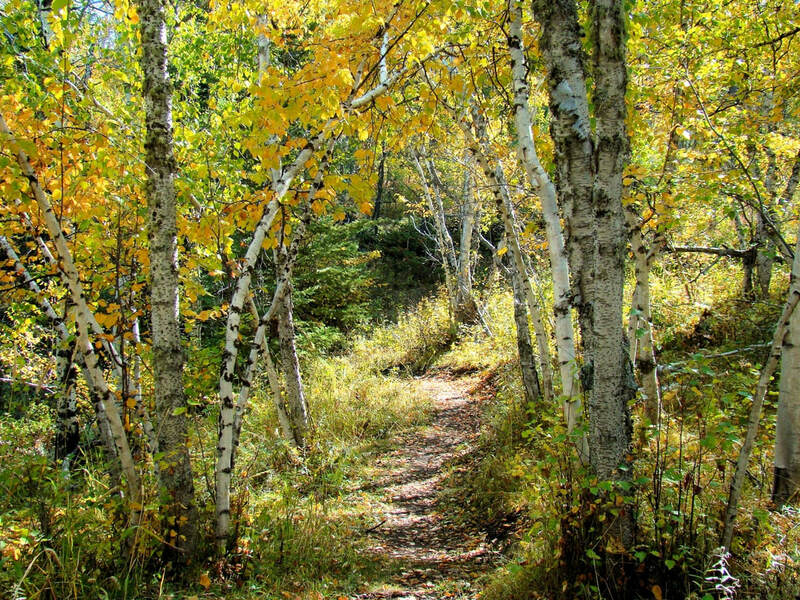 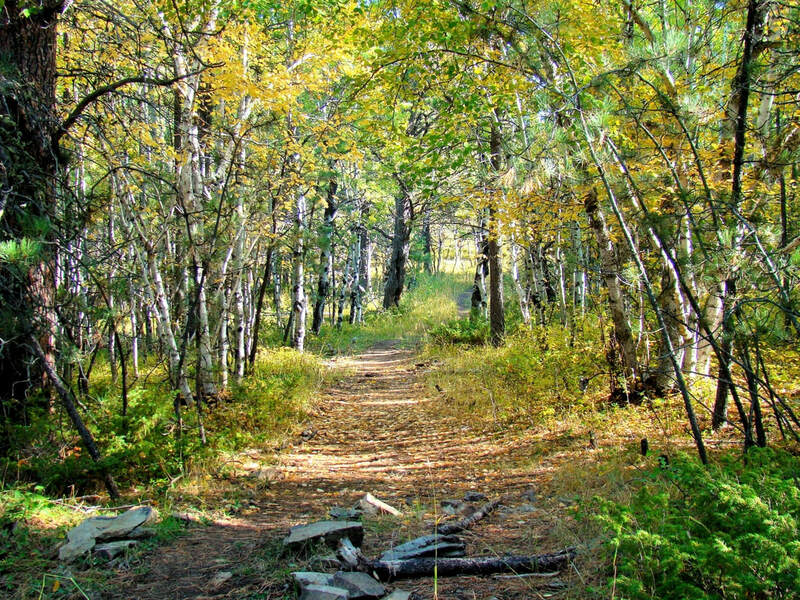 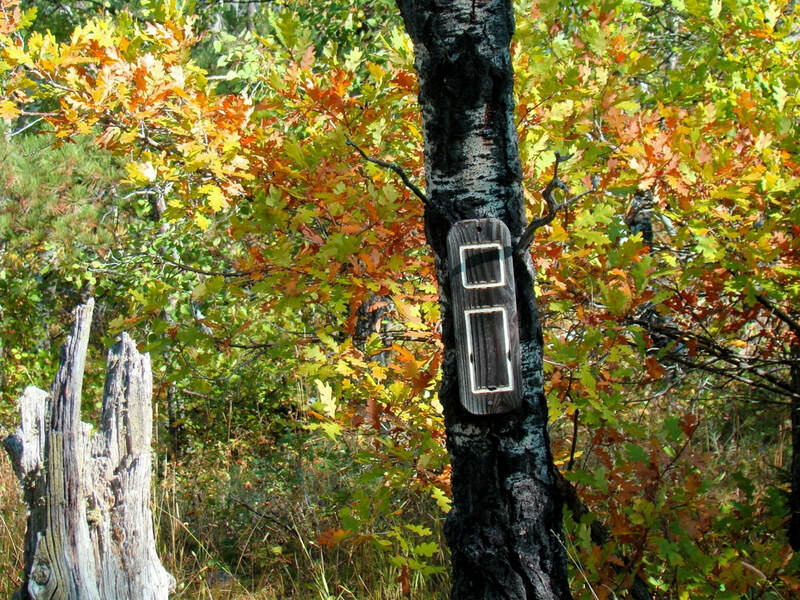 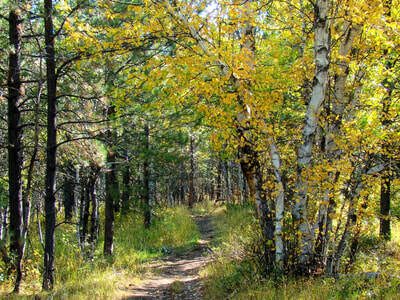 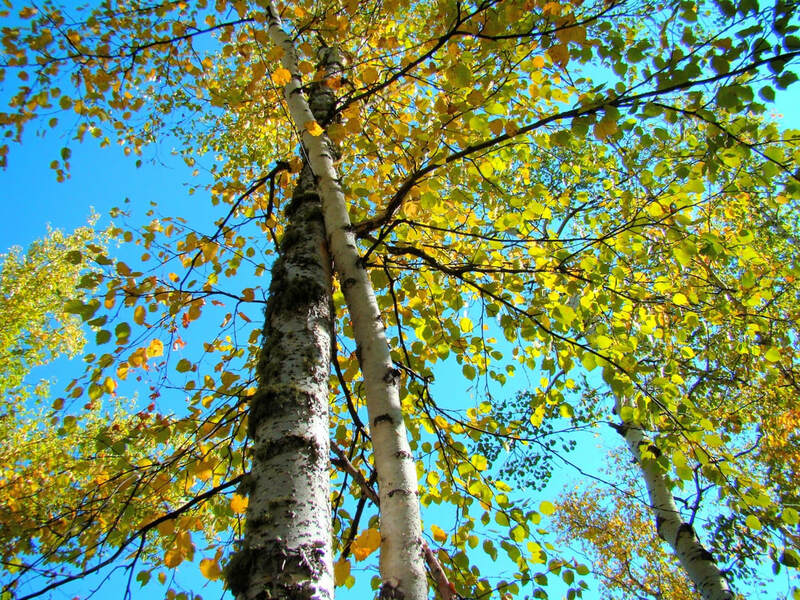 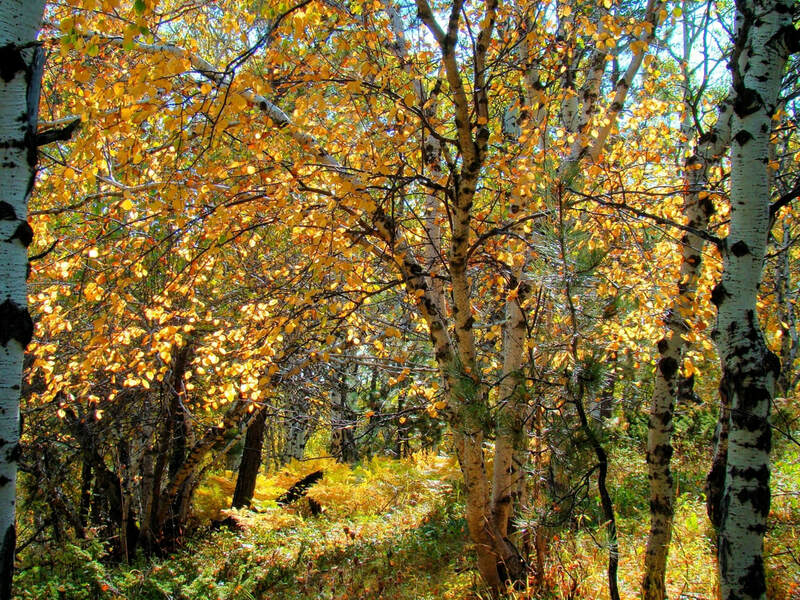 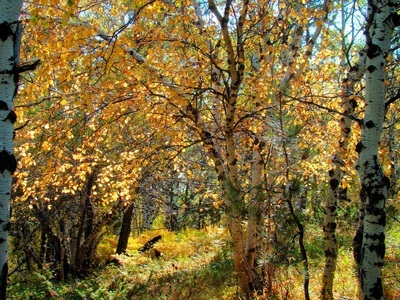 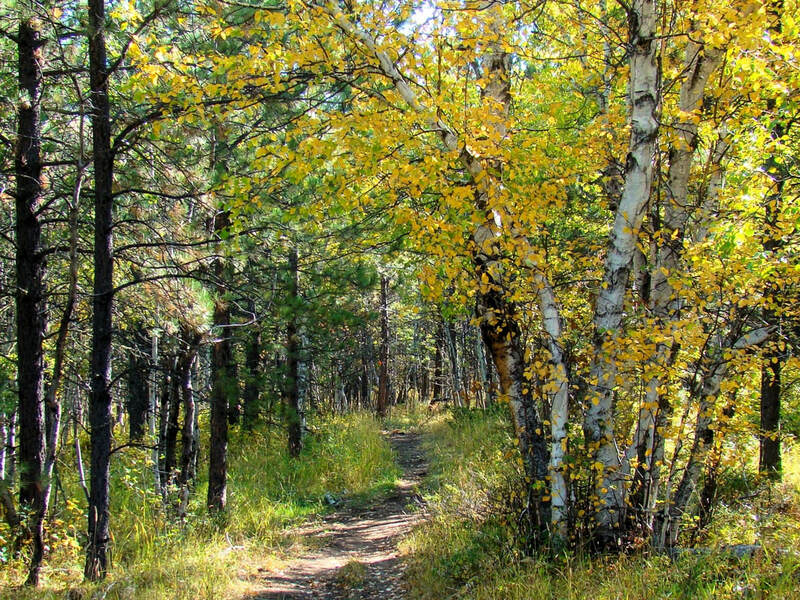 The route to the summit is lined with birch, spruce, quaking aspen and ponderosa pines, with some oak trees in several places. 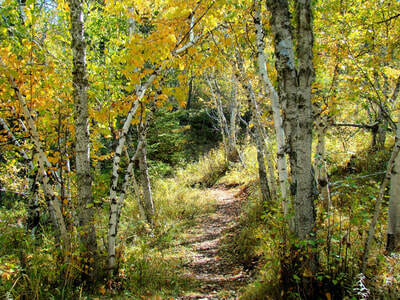 It is really quite a spectacular hike in the autumn. 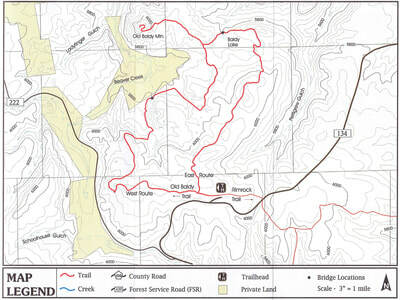 Plan on a 7 to 8-mile hike if you would like to do the whole loop, including the spur trail to the summit. It’s hard to get an exact read on the true trail mileage, because the forest service maps contradict their trail signs, and that is further complicated by other published maps that give even more differing distances. 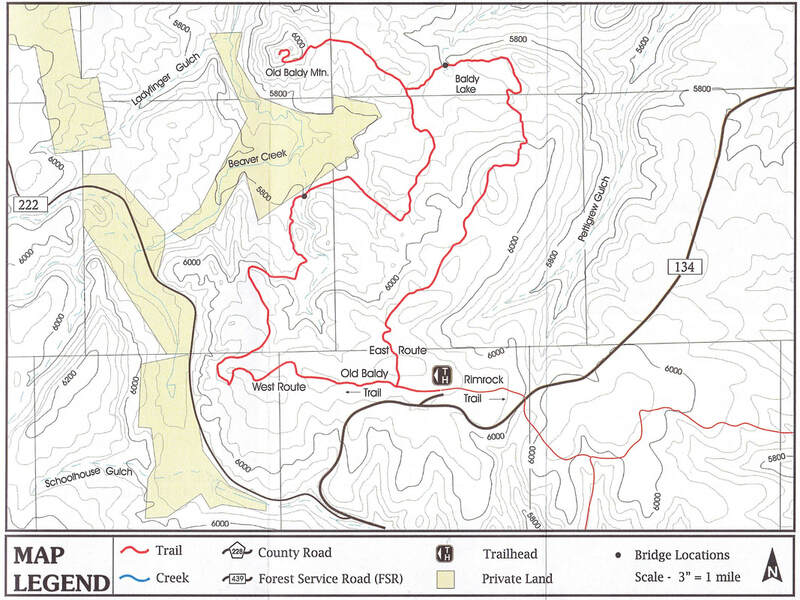 Along the western portion of the loop are several old mineshafts. 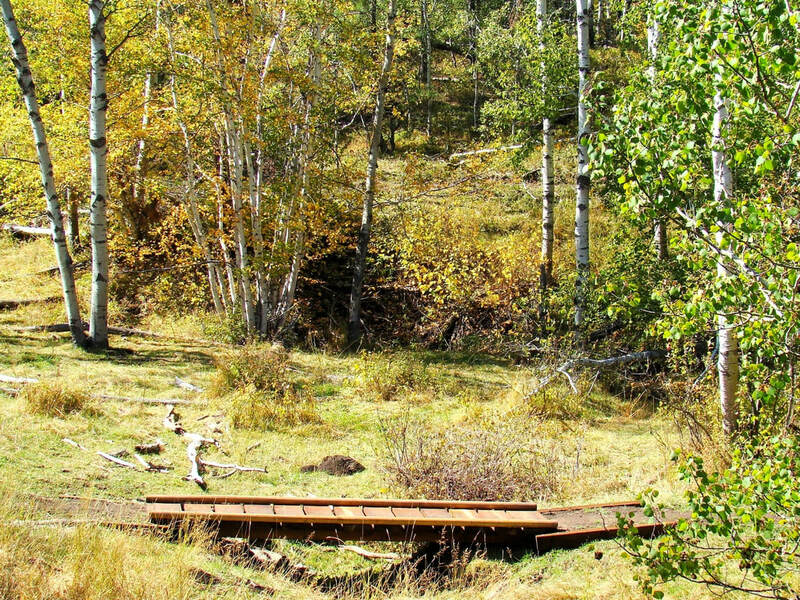 There are no obvious safety barricades, so the careful hiker will carefully consider the risks associated with deep pits and no rescue services nearby. 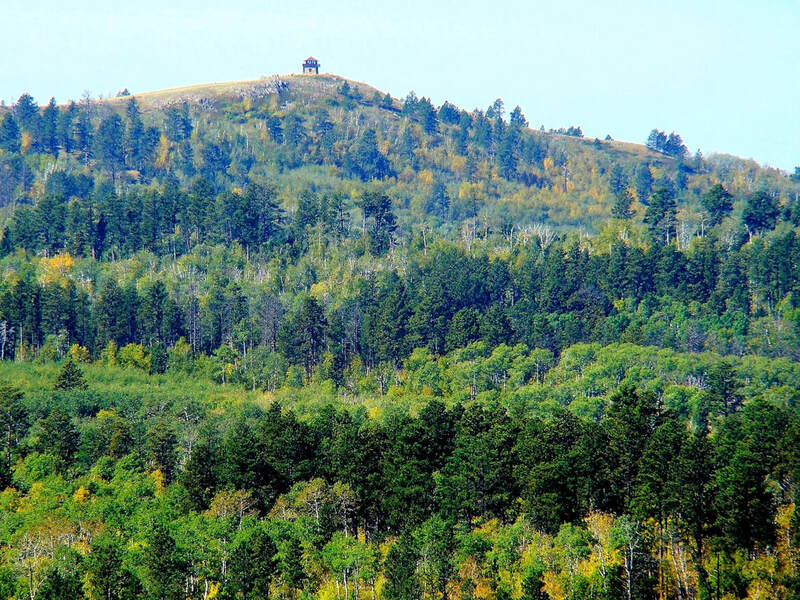 Also located along the westernmost portion of the loop is Mathews Flag, a small summit approximately 6,130 feet high with a geodetic marker at the high point. 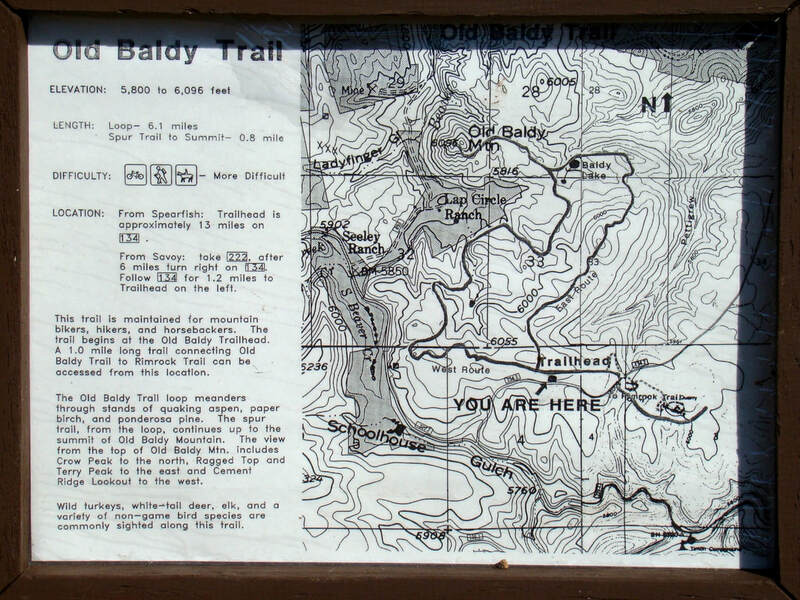 There is no trail to that summit, so a short bushwhack and careful map study is necessary to successfully accomplish this if you so desire. 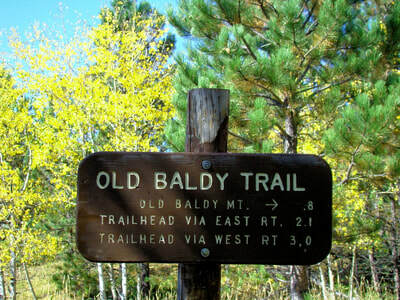 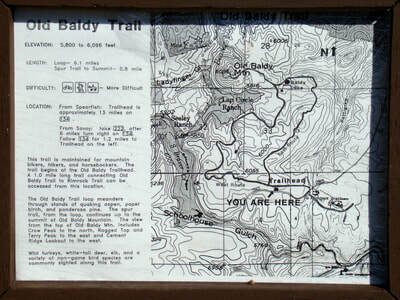 The Old Baldy trailhead is accessed from Tinton Road. 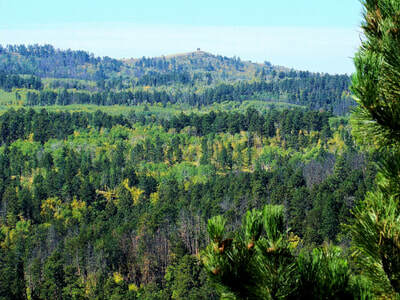 If you take Tinton Road (FSR 134) from Spearfish, the distance is 13 miles. Or, if you prefer to travel through beautiful Spearfish Canyon and Little Spearfish Canyon, the distance for that route is around 21 miles. 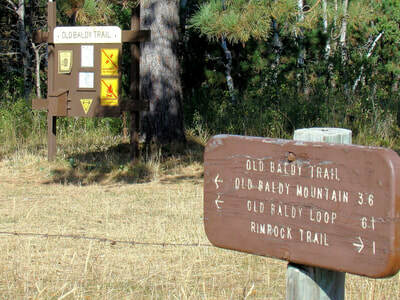 That route requires you to drive 14 miles from Spearfish on Highway 14, turn west at Savoy on Roughlock Falls Road (FSR 222) for 6 miles to Tinton Road, where you will turn right and follow Tinton for 1.1 miles to the trailhead, located on the north side of the road. One of the things interesting about the Old Baldy hike is that the elevation at the trailhead is nearly the same as the summit elevation. 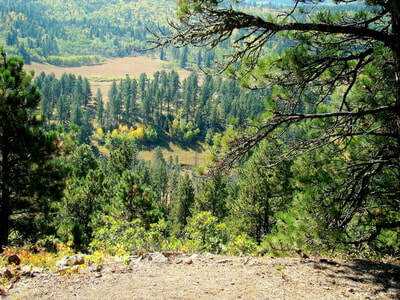 There is a 234-foot drop into a valley between the two. The forest service does a pretty good job of trail maintenance. However, it will not take a hiker long to realize there is quite a bit of horse travel on the trail. Unless you do not mind gumming up your hiking boots with the droppings, you will need to pay close attention to your footing (which is not a bad idea anyway, given the exposed tree roots and occasional rocks). 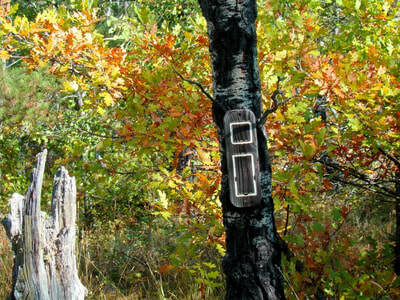 Hunting seasons will bring area hunters to the area, so wearing orange then would be in your best interest. 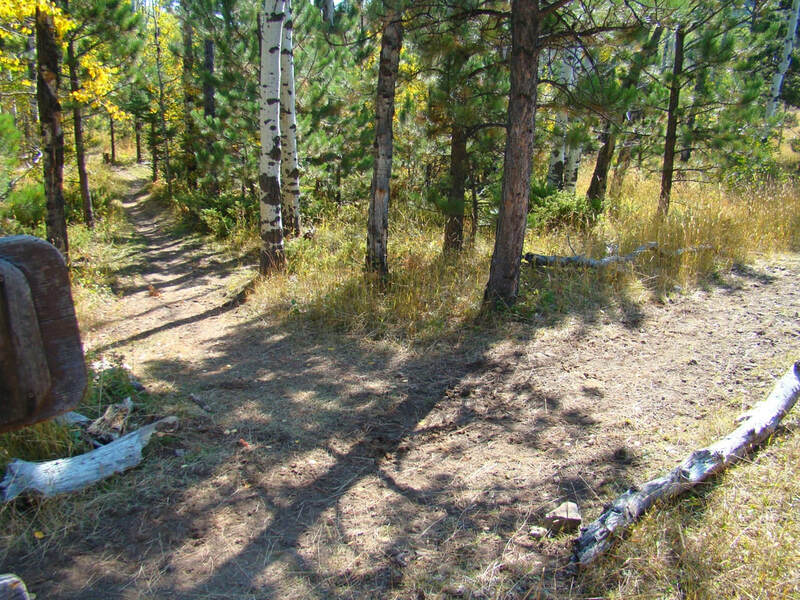 Be forewarned there is no trail maintenance during winter, and snows can get deep in the northern Black Hills, obscuring the route. 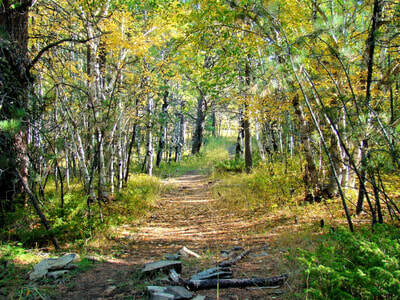 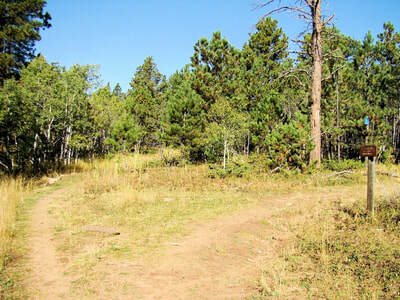 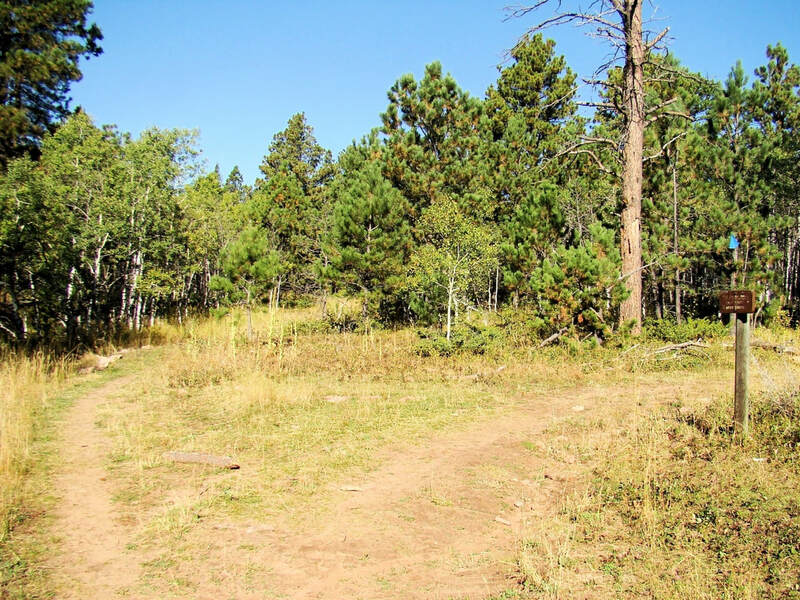 There is some limited primitive camping at the trailhead, but much more to the east in the Spearfish Canyon area. Telephoto view of Cement Ridge.